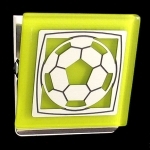 These unique sports & game gifts are personalized for players and coaches with cool glass or handcrafted color accents. 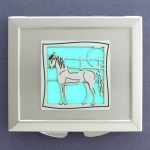 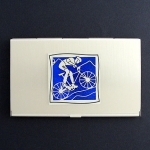 Shop engraved card cases, badge holders, jewelry, flasks, pill boxes, and night lights that feature stylish images of team sports and game themes including football, baseball, crew, puzzles, chess, and poker. 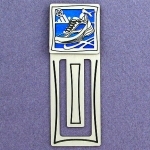 Find great gift ideas for coaches, team parents, athletes, and sportsman of all types. 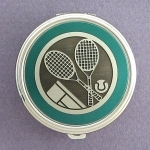 Custom Engraved Logo Gifts: Have your college or high school logo engraved on a sporty gift. 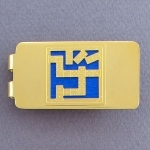 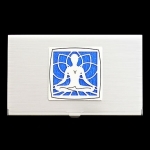 Kyle Design has quick, professional logo engraving services for business card wallets, handy metal cases, school logo money clips, and many other unique engravable gifts. 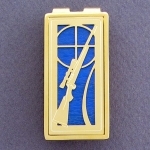 Order custom engraved school logo gifts for sports coaches and other high school or university staff. 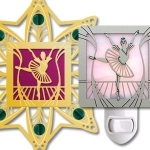 Ballet - Surprise your little ballerina with gifts featuring ballet dancers in tutus. 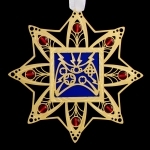 Ballroom Dance - Find First Dance wedding ornaments and other unique gifts for ballroom dancers. 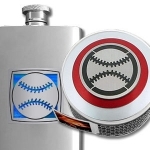 Baseball - Hit it out of the park with these homerun gift ideas with baseballs. 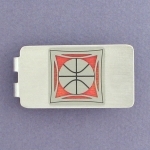 Basketball - Slam dunk money clips, card cases, bookmarks and more. 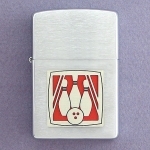 Bowling - End-of-league gifts for your bowling team feature a bowling ball and 3 pins. 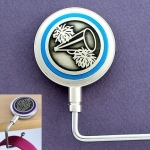 Cheer - Show off your team spirit with these cute items & accessories for cheerleaders. 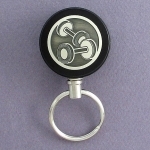 Cycling - An etched metal bike wheel adorns presents for cyclists. 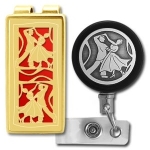 Dance - If your son or daughter loves taking dance lessons or you'd like to thank a special dance teacher, find the perfect items here. 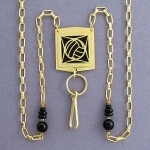 Fencing - These items feature gold and silver swords - engrave one for your son or daughter who loves to fence. 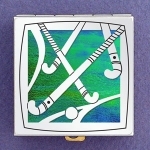 Field Hockey - Find good-looking gifts for a coach gifts who expects nothing less that the best from both male and female field hockey players. 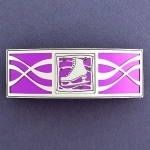 Figure Skating - Silver and gold ice skates on unique gift items that can be engraved for a special figure skater or ice skating coach. 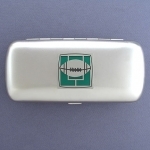 Football - Celebrate a season of touchdowns with these end-of-season gifts for teams and coaches. 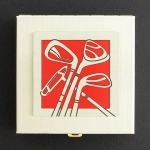 Golf - We've tee'd up some golf themed pill boxes, metal wallets, flasks and keychains. 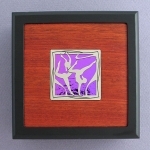 Gymnastics - 2 gymnasts show of their perfect form on these elegant jewely boxes and ornaments. 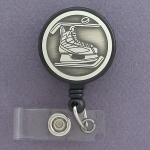 Hockey - Get your son, nephew or grandson a cool gift featuring a hockey skate with stick and puck. 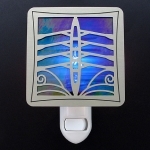 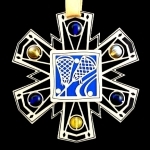 Lacrosse - Unique items with lacrosse sticks etched into metal - personalize with team colors. 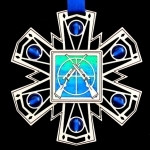 Rowing - Find something for everyone on your crew team. 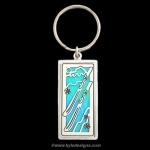 Skiing - If you and your friends love to hit the slopes, check out these unique ski themed items including cool keychains, badge reels and engravable bookmarks. 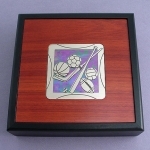 Soccer - Team gifts, player gifts and coach gifts featuring a gold or silver soccer ball. 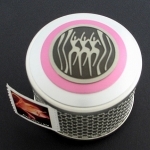 Surfing - Wave magnets, surfer pill holders and decorative magnets for surfers. 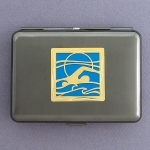 Swimming - Decorative night lights, swimmer earrings, team ornaments and more engraved gifts for swimmers. 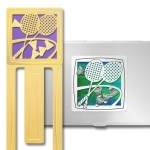 Tennis - Two tennis racquets, a court and ball paired with green, blue, purple, pink, gold, red and more to create striking player and coach gifts. 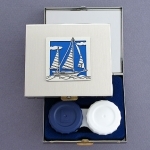 Volleyball - Personalize these custom pill boxes, engraved flasks and beaded Christmas ornaments for your favorite volleyball star. 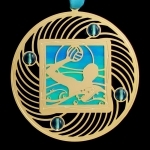 Water Polo - Gifts that will make a splash with anyone who enjoys this game. 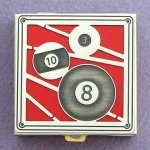 Billiards - Three pool balls and four cue sticks are etched into metal and laid over red, green, purple and other popular colors. 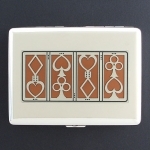 Cards - Whether you love playing cards on game night or prefer a round of poker at the casino, you'll find fun playing card inspired gifts here. 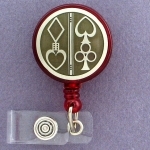 Casino - Business card cases, flasks and more for gamblers, Vegas keepsakes and groomsmen gifts. 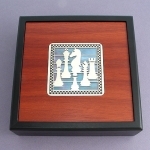 Chess - Wooden chests, engraved glasses cases, money clips and more feature silver and gold chess pieces. 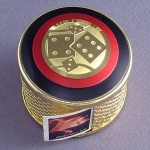 Dice - Metal game dice on decorative stamp boxes, night lights, ornaments and other game night decor. 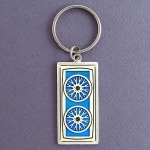 Dominoes - Adorable domino gifts customized just for you. 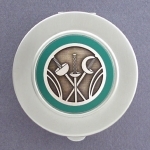 A thank you gift for a friend who always hosts game night. 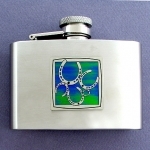 Poker - Huge selection of poker themed flasks and other cool gifts for gamblers. 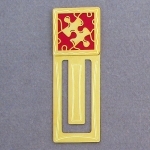 Puzzle - Kyle's etched metal jigsaw puzzle pieces if the perfect fit for a puzzle builder's birthday. 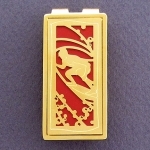 Video Games - Is your grandson, brother or boyfriend always connected to his Xbox, Playstation or Nintentdo? 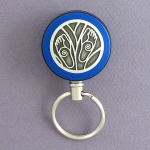 Customize a cool keychain or badge holder just for him.